A lawsuit against the Central Intelligence Agency — and no, it’s not a joke. Amy Johnson, a PhD student and researcher at the Massachusetts Institute of Technology, is suing the CIA for failing to turn over documents, as part of a public records request, about the agency’s social media policies and how it manages its official Twitter account. In December 2014, shortly after the CIA joined Twitter, Johnson filed a Freedom of Information Act request seeking the material for research purposes. Johnson was specifically interested in the agency’s use of humor and sarcasm online. But nearly three years later, Johnson says her queries about the agency’s unique Internet presence have gone unfulfilled. The lawsuit was filed last week in federal court on behalf of Johnson by the Technology and Cyberlaw Clinic, a joint venture between MIT and the Boston University School of Law. Johnson, who will graduate from MIT’s doctoral program in History; Anthropology; and Science, Technology, and Society, in June, said the 2014 FOIA request at the heart of the lawsuit is part of a broader study on how governmental agencies use social media in the digital age. A major part of Johnson’s dissertation, which she presented on Monday, looks at how some government agencies, like the CIA, have tested the waters with jokes, and latched onto trends, to engage the public. The @CIA account, she said, is most interesting because it’s one of the few channels that the agency uses to get information out there. And, in the short time that the CIA has had an account on Twitter, it has used humor more than once to garner attention. For example, the CIA’s first-ever tweet played on its known secrecy for a few laughs. 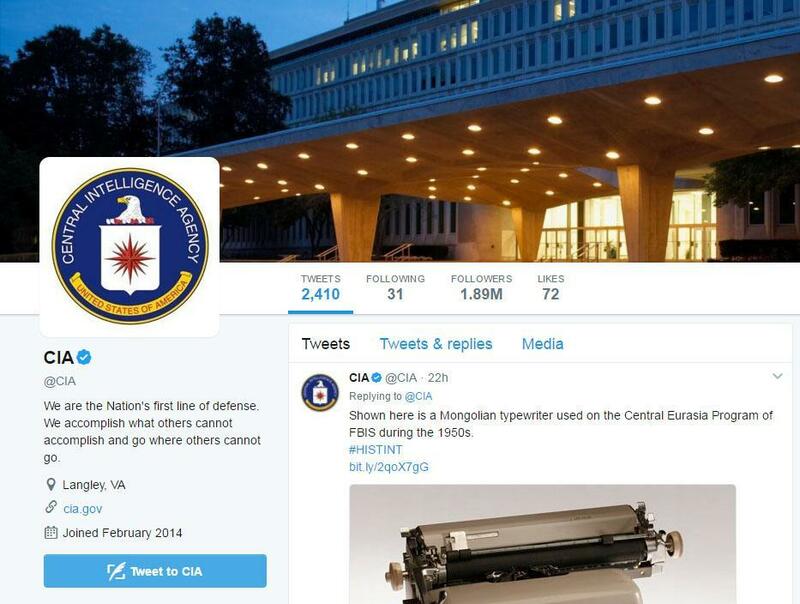 “We can neither confirm nor deny that this is our first tweet,” the CIA wrote in June 2014. The sarcastic message was retweeted nearly a half-million times. In a second instance, the agency made a joke about conspiracy theories that claim rapper Tupac Shakur is still alive. “No, we don’t know where Tupac is,” the CIA wrote. While some have applauded the agency’s humor, and the way in which it made a splash online, others have criticized the CIA, according to the federal lawsuit filed on behalf of Johnson. The CIA did not return a request for comment. Since her research began, Johnson has submitted a slew of public records requests to both federal and local agencies. The request to the CIA, she said, is the only one so far that has resulted in a lawsuit. Johnson hopes the lawsuit will lead to the release of the information she has requested, and ultimately shed light on the CIA’s practices.